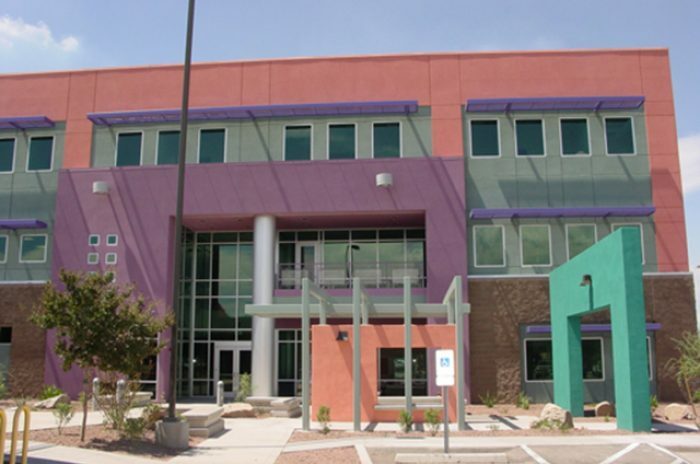 The Kino Service Center consolidates the Pima County Community Services into a 28,000 square foot “one stop” center for youth and adult community programs. This facility is unique for Pima County in that it brought together five major sub-organization groups representing nine separate departments into one central facility for people seeking community services and information on the various programs offered by the county. The facility includes administrators, counselors, employment/training staff, outside agency liaisons and youth program personnel. 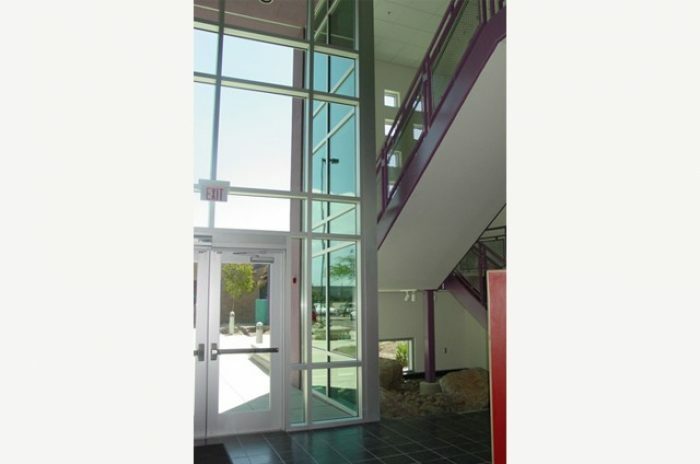 The facility also contains a library/career resource center and classrooms for a charter school program. 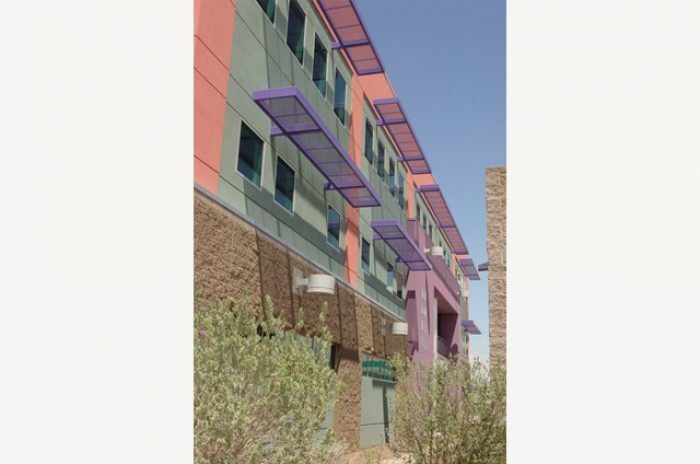 The design goal was to provide an environment that did not have a controlled institutional feel while providing easy access by the community to the facilities’ multi-community functions. 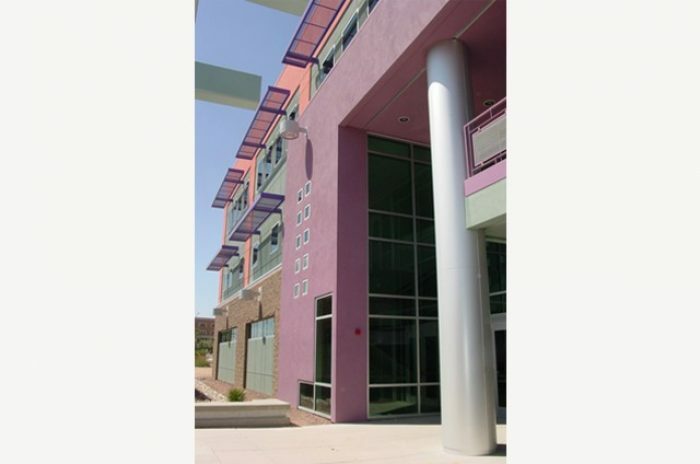 The building exterior is a bold response to the surrounding built environment with a colorful use of materials, forms and shapes. 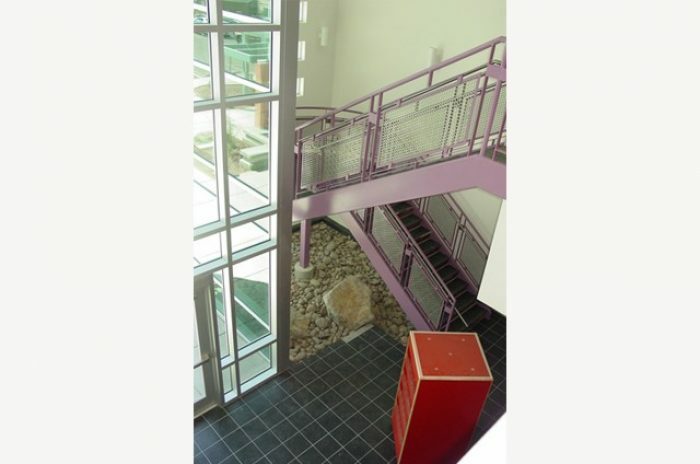 The interior spaces provide a contemporary learning environment with modern equipment and a functional distribution of spaces within a three-story structure.